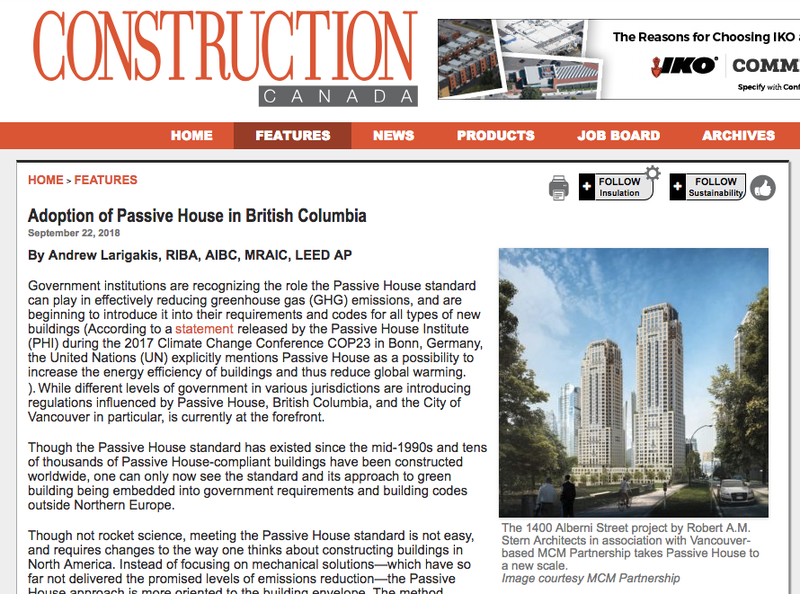 Following is a link to an article on the adoption of the Passive House approach and Standard by jurisdictions in BC was written by Andrew Larigakis and published in the September 2018 issue of Construction Canada magazine. The article outlines the influence of the Passive House Standard on building codes and regulations in British Columbia including on the BC Step Code. Buildings built to the Passive House Standard currently meet the most stringent energy requirements in all BC jurisdictions and are part of the Province’s approach to reducing greenhouse gas emissions contributing to climate change. Posted in NEWS and tagged with BC Step Code Passive House BC .